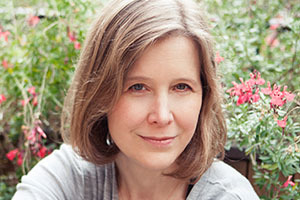 Novelist, non-fiction writer, PEN/Faulkner Award and Guggenheim Fellowship winner Ann Patchett visits the Arlington Public Library’s Central branch auditorium on Oct. 23 at 7 p.m. to discuss the writing life and how she has created such a remarkable body of work. She’ll discuss the writing life and her rich, poignant array of works. Patchett’s career stretches from undergrad publication in the Paris Review and a lengthy stint at Seventeen magazine to a Guggenheim Fellowship and the PEN/Faulkner Award. Her Arlington appearance will offer special insight on the novel “The Magician’s Assistant,” a lyrical celebration of life’s mysteries and hidden joys. Patchett’s books have been translated into more than 30 languages. In 2012, she was named one of the 100 Most Influential People in the World by Time magazine. Patchett’s non-fiction has appeared in the New York Times Magazine and the Washington Post. This event is free with seating limited and available on a first-come, first-served basis. Arriving early is strongly encouraged. Parking is available in the library garage and surface lots but we encourage the use of public transportation. Central Library is a short walk from the Ballston and Virginia Square Metrorail stations.